What Can I Do To Fix My Dark Circles And Hollow Eyes? Our eyes and eyelids are very sensitive, and the surrounding skin and tissue is extremely delicate. 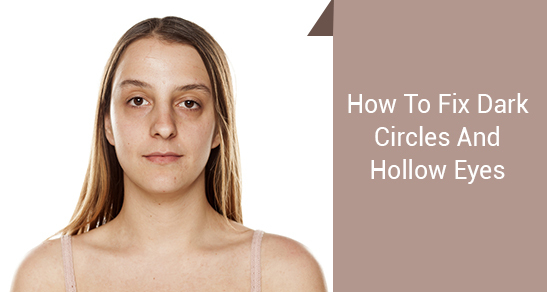 There are many factors that can lead to the appearance of dark circles and hollow eyes such as dehydration, lack of sleep, age, life style, allergies, dramatic weight loss, sun exposure and simply genetics. Home remedies are a great place to start, and it is always recommended that you use a good sunscreen and wear UV sunglasses to protect your eyes. However, oftentimes investing in good moisturizers that boast anti-aging properties such as hyaluronic acid, retinol and antioxidant-rich vitamins such as E and C are not enough. Moisturizers are not able to penetrate the dermis of the skin and improve the overall elasticity and lost collagen. The results from creams are temporary, and usually wear off within a couple of hours. The lower lid, also known as the tear trough, is very unforgiving – though most people are not ready to make that big decision to go under the knife! More and more men and women are leaning towards less invasive measures to deliver longer lasting, subtle results to rejuvenate the appearance of dark circles and hollowness under the eyes. At Skouras Eye and Cosmetic Centre, Dr. Skouras has extensive knowledge of facial anatomy and more than a decade of facial aesthetic experience using the most advanced products in the industry. The combination of well proven techniques and the latest technology allows your ophthalmologist, Dr. Skouras, to achieve the most natural, subtle, yet effective results to treat troublesome areas such as dark circles and hollow eyes. Dr. Skouras uses a combination of dermal fillers and a skin tightening procedure called Thermage Eyes to rejuvenate the appearance of dark circles, baggy, loose or hollow skin under the eyes. The Thermage Eyes skin tightening procedure is the only non-surgical treatment that is clinically proven to help rejuvenate, smooth, tighten and decrease wrinkles and hooding that is associated with tired looking eyes. The treatment delivers natural-looking results with little to no down time on all skin colors. Only one single treatment is required. Generally, some improvement is immediately visible and continues for up to six months. To maintain their results, patients usually repeat Thermage eye skin tightening every one to two years. However, only one single treatment is required at the outset. Our skin structure is supported by collagen, a major component of the skin. Hyaluronic acid aids in the build-up of collagen and is a natural sugar found in our body. Dermal fillers are made up of hyaluronic acid and restore fullness where volume is lost. Dermal fillers can brighten the dark hollow area under your eyes, resulting in a less tired appearance. It is not about looking 20 years younger, it’s about being the best you. Contact Skouras Eye & Cosmetic Centre to schedule a complimentary consultation to discuss what may be the best treatment plan for you!